environmental protection rules and regulations. When dealing with the execution of public works contracts, it is necessary to be registered in the records of the Ministry of Public Works. No, Chilean law does not grant any such advantages. Moreover, Chilean law is based on three main principles: equal treatment for domestic and foreign investors (applicable to construction); free access to different markets and financial sectors; and minimal state intervention in their activities. This equality in the treatment of Chilean and foreign investors has resulted in a simplification of the legal regulations for foreign investment. prohibition of awarding any tender granted by the state for up to five years. In addition, acts of collusion are criminalised, and custodial sentences of up to 10 years can be applied. If the infringement is an act against free competition, the contract may be terminated. If the violation is a bribe, sanctions applicable to natural persons (both private and public officials) are custodial sanctions of up to five years when the bribe is associated with a foreign public official; suspension of rights; temporary or perpetual disqualification from holding public office; and fines. Also, in cases of bribery, legal entities can be sanctioned with penalties consisting of dissolution, temporary or perpetual prohibition of holding acts and contracts with state agencies, loss of tax benefits or prohibition on receiving them, fines of up to US$1,521,000, publication of an extract of the trial in the newspapers, seizure of the proceeds of the crime and payment of an amount equivalent to the investment made. Facilitation payments are not allowed; moreover, penalties are applicable when paying or offering to pay for the execution of an act specific to the position involved, within which a facilitation payment can be considered. The law on criminal liability of legal entities requires a crime prevention model with a mandatory whistleblowing channel for this type of situation. If the bribe is committed and the model and the channel have not been implemented, penalties may be generated for the company working on the project, ranging from the dissolution of the legal entity to fines of US$1,521,000, in addition to custodial sentences, suspension of other rights and fines to natural persons that have intervened in the bribery. As for a sanction to the natural person who failed to report, it is debatable that such a person can be criminally sanctioned for the omission, although it is highly likely that it will result in the termination of his or her working contract. Companies are not allowed to make any political contributions in the area of business. Candidates can only receive contributions of a private nature from individuals or political parties in cash or in kind estimable in money. There is no law to restrict contractors or other professionals from working for public agencies because of their financial support for candidates or political parties, since such prohibition applies to them. Bribery between private individuals has not been typified as a crime in Chile, although there is a bill to sanction this type of behaviour. Currently, only bribery of public or state employees is criminally sanctioned. Corrupt behaviour among individuals can be punished if, for example, they are aimed at getting tenders awarded. This type of conduct is sanctioned within the framework of the law that protects free competition. Conflicts of interest that may affect these individuals are normally prohibited and sanctioned within the internal policies of the companies, which are part of their corporate governance rules. No obstacles exist. Chile is an open economy. In recent times, measures have been taken to control immigration. There is no standard form for private construction of local projects. However, contracts are highly standardised in relation to content and essential clauses, and supplies and subcontractors are used to contracting on the basis of certain types of provisions. In the case of public works contracts involving government agencies, and particularly the Ministry of Public Works (MOP), these are regulated by law, and negotiating contract clauses is not allowed. Contracts used for international projects are usually more extensive, with detailed provisions, following the common custom law. Recently, most international developed countries tend to use the suit of contracts published by the International Federation of Consulting Engineers (FIDIC). There are no restrictions in Chile on the choice of law or the venue for dispute resolution. Normally, Chilean construction contracts include clauses that balance the obligation of both parties regarding payments: if an initial payment from the owner is requested, then usually the contractor should provide a bank guarantee for the same amount. The rest of the payments are made according to the development of works, based on certificates approved by each party. Usually, the owner withholds a percentage of each invoice as a guarantee, or withholds the last payment at some point (ie, until the provisional guarantee expires or the works are accepted). Payment is typically made by cheque or electronically. In international projects that require the participation of international builders and engineers who contribute their expertise and technical and economic abilities, it is common for a consortium to be formed with local constructors. If the tender is awarded to this consortium, it then constitutes a special purpose vehicle (SPV), with the exclusive purpose of developing the project. Each consortium partner undertakes different parts of the work. A manager is appointed to make day-to-day decisions and to represent the SPV in its dealings with the client and the consortium partners. There is a regulatory framework for PPP and PFI only for public works concessions in areas such as highways, hospitals, airports and ports (DS MOP No. 900 Law), which allows private initiatives to develop public works projects by the modality of public tenders. The successful company is in charge of carrying out the construction and operating the project on completion. In private construction projects, the parties are free to allocate the risks. They are usually allocated to the party that is in the best position to control them. On the other hand, in public works, PPP and PFI, from the owner’s perspective, the members of consortia are jointly liable for the entire project. Chilean law establishes the constructor’s liability in connection with the perfection, quality and suitability of the works and materials used thereto. The constructor’s liability applies to damage caused to the owner and encompasses acts of its employees and subcontractors. The constructor’s liability applies by law to damage caused to third parties, to indemnify its own negligent acts, errors and omissions, and also the damage caused by subcontractors. Insurance products provide coverage for damage to third-party property, workers or third-party injuries, damage due to delays and damage to the environment. With regards to damage associated with delays, one of the formulas offered by insurance companies is a reimbursement clause, whereby they reimburse contractors for fines to which they have been condemned to pay after a trial. With regard to matters associated with the environment, civil liability insurance systems started in recent years contain a clause, aside from the generic non-contractual liability policy, which covers this type of damage. Chilean law does not limit the liability of contractors and holds them liable for any and all damage arising from their activities, so that damage that cannot be resolved through insurance can be pursued in their own assets. Those that suffer the damage usually sue both the contractors and the principals jointly or severally. The Chilean Labour Code establishes as a general rule in articles 19 and 20 that at least 85 per cent of the workers that serve the same employer should be of Chilean nationality. Employers with fewer than 25 workers are exempt from this rule. In order to calculate the aforementioned 85 per cent, the total number of workers that an employer has within Chilean territory and not of different branches separately will be taken into account. Specialist technical personnel will be excluded. A foreigner whose spouse, partner or children are Chilean or who is widowed as a Chilean spouse will be considered Chilean, and foreigners residing for more than five years in the country will also be considered as Chileans, regardless of any circumstantial absences. Therefore, there are no further specific rules regarding a particular construction project. To prevent this from happening, it is advisable to contract for a fixed term (this period should not be more than one year, otherwise the contract will be considered as indefinite) or for a particular project, stating this in the work contract. In this manner, upon completion of the project, workers’ employment can be terminated by paying only for the items associated with the specified term or project (items such as proportional holidays and pension fund and health contributions). Currently, the contract per project or job entitles the worker to be paid social security contributions, proportional holidays and unemployment insurance, but does not provide for compensation for seniority (service years). The contract per project or job ends once the task is finished. The worker can be hired again, for a different task, generating a new employment relationship. However, administrative and legal jurisprudence understand that the employment relationship becomes indefinite if two or more contracts per project or job on the same site are subscribed. In the case of permanent work contracts, when the project is completed, the labour relationship will have to be terminated by paying compensation for service years (seniority) (maximum 11 years), plus other items workers may demand, and the amounts involved risk being quite high. There are no special laws associated with foreign construction workers, so they remain subject to Chilean labour legislation and have the same rights as Chilean workers. The only special rule, which applies to all types of foreign workers and not only to construction workers, is that they can choose which pension system they prefer to contribute to (Chile’s or their home country’s). Additionally, at the end of the employment relationship, the employer must pay the worker’s return ticket to their country of origin, to which the parties must agree in a timely manner. This obligation of the employer will persist until the termination of the contract, the signing of the settlement, the worker leaves Chile or the worker gets a new visa or permanent residence. Failure to comply with these rules will result in the payment in Chile or in the worker’s country of origin, the contributions owed and the price of the ticket to the country of origin. If a company decides to close its operations, all employees should be dismissed and the corresponding severance package must be paid as due. Labour claims filed against the employer will proceed normally, and will not affect the closing of the company’s activities. The contractor may place liens on the property. Chilean law does not provide for an automatic construction lien on the property due to rendering of construction services with respect to the project. The contractor would be able to secure payment of its fees generally by obtaining a mortgage over the land or property itself, or both; a pledge of credits or receivables deriving from the sale of the property to third parties; and personal guarantees, usually from individuals managing the owner or from third parties, or from both. Articles 183 A and following of the Chilean Labour Code regulate the work in a subcontracting system, establishing, among other things, that the main company or owner of the work will be jointly and severally liable for the labour and social security obligations that affect the contractors in favour of their workers, including the possible legal indemnities applicable for the termination of the employment relationship. Such liability is limited to the time or period during which the employees or workers provided services under subcontracting to the principal company. Also, the contractor will be jointly and severally liable for the obligations affecting its subcontractors, in favour of its workers. In the case of building construction for a fixed pre-established price, such responsibilities will not proceed when the person in charge of the work is a natural person. Although these regulations do not prohibit construction contracts from containing clauses that make the subcontracting right to payment reliant on the general contractor’s reception of the owner’s payment, it is settled case law that the contractor cannot make the payment to its workers dependent on delays of non-payments by the owner or main company. an action relating to any professional or commercial activity conducted by the diplomatic agent in the receiving state, outside of its official functions. The foregoing notwithstanding, we are not aware of any cases where a government agency alleges this immunity to oppose a claim for payment from a contractor. Chilean labour legislation protects workers as natural persons when they work under labour subcontracting conditions, in relation to labour obligations (including seniority compensation) and social security contributions. Other protections for contractors in cases of interruptions or cancellations of projects must be negotiated before starting the project, through the granting of bank guarantee bonds or insurance, in order to make effective any of those mechanisms in the event situations such as this were to occur. natural disasters occur, such as earthquakes, hailstorms and floods. Note that contracting parties will not be excused from performing their obligations if it was possible to prevent or avoid the event or if the party is unable to prove that it brought all its efforts to comply with the contract. However, in many contracts the contractor expressly undertakes to bear risks related to force majeure. There are no specialised national tribunals dedicated to resolving construction disputes. There has been some use of dispute boards in Chile, mainly in the field of mining construction by Codelco (the biggest state copper company). 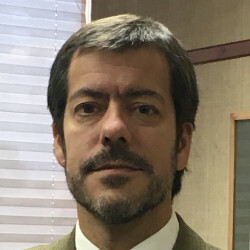 Recently, the Santiago Chamber of Commerce Arbitration Centre approved dispute board rules and is offering the service to assist in the appointment of members to dispute boards. The rules provide Dispute Adjudication Boards, Dispute Review Boards and Dispute Combined Boards. In the field of public concessions works, there is a DRB for each contract, according to a recent amendment of the law. There is no Chilean mediation law for commercial and construction matters. Consequently, the use of mediation depends upon an express provision in the contract. The Santiago Chamber of Commerce Arbitration Centre offers a mediation service which, although rarely used, is seeing an increasing number of cases each year. The rules of mediation given by the Santiago Chamber of Commerce Arbitration Centre provide mandatory confidentiality for the parties and the mediator. Private construction contracts in Chile, especially in medium to large-sized projects, generally include an arbitration clause that regulates disputes arising from or in relation to the contract. For such purposes, while there is no standard form of clause, the standard arbitration provisions of the Santiago Chamber of Commerce Arbitration Centre (www.camsantiago.cl/clausulasna.htm) and International Commerce Chamber (ICC) (www.icc-chile.cl) are commonly used, with or without modifications. However, for public works the law does not provide for arbitration. Consequently, conflicts must be taken to local courts, except in the case of public concessions works that provide arbitration. The choice of an international arbitration institution or the adoption of international rules does not influence the future enforcement of an arbitration award in Chile. A foreign constructor is therefore free to agree on national rules, and arbitration institutions are preferable. However, the ICC arbitration clause is commonly used in Chile mainly for large-sized construction projects. Disputes relating to construction contracts entered into by public entities are generally solved through litigation and not ADR. In some cases, this is because they are barred from using arbitration, as is the case of disputes regarding acts of the administration in public work contracts, in which general administrative proceedings must be used and remedies before ordinary courts apply. However, in most cases, the use of litigation is favoured by many public entities or publicly owned companies, as a matter of corporate policy rather than based on legal restrictions. Consequently, the use of international arbitration for government entities is not common. The International Commercial Arbitration Act (19,971 Law) provides requirements for recognition that are identical to those set forth in section V of the New York Convention, thus foreign arbitration awards issued in another country may only be denied enforcement in the same cases. There is a general rule of limitation periods of five years during which lawsuits may be commenced for construction work or design services. However, exceptional limitation periods are extended to 10 years after the project is concluded in some specific cases, such as structural damage. Chile was indeed one of the 113 countries that participated in the Stockholm Conference. Law 19,300 on General Environment Bases is the main environmental protection instrument. It establishes that projects involving the construction of large-scale real estate projects, equipment projects (such as restaurants or shopping centres), tourism development projects and some infrastructure projects must be submitted for an environmental impact assessment. On this matter, there are also various decrees, quality standards, emission standards and technical standards that govern the emission of pollutants, water pollution and waste disposal, among others. Project owners are responsible for complying with environmental management instruments. The Superintendence of the Environment is responsible for inspection and can apply administrative sanctions ranging from the application of fines to the revocation of the environmental qualification resolution. In addition, articles 51 and following of Law 19,300 establish extra-contractual civil liability in environmental matters, while article 35 of the Law on Concession assigns the responsibility of public works concessionaires for damages arising from non-compliance with environmental requirements. To date, Chile has signed more than 50 bilateral investment agreements, the majority of which are currently in force, in addition to 15 free trade agreements that include regulation on this matter. In general, in these agreements the ‘investment’ includes all kinds of assets, including movable and immovable property, property rights, shares and other forms of participation in companies, intellectual and industrial property rights and concessions granted by law, among others. Chile has signed more than 30 bilateral agreements to avoid double taxation, including agreements with Canada, Brazil, Spain, Australia, China and the United Kingdom. In general, such agreements include the profits from construction works or projects. Executive Order 600 establishes that the foreign investor (any natural person or legal entity established abroad, not a resident of or domiciled in Chile, who transfers capital to Chile for an amount equal to or greater than US$5,000,000) has the right to remit abroad the transferred capital and the net profits generated by such investment, to the extent that it has complied with its tax obligations. Until 2016, Executive Order 600 established that the capital invested in Chile could not be reimbursed until one year after the date of entry into the country. This was deleted through the enactment of Law No. 20,848, dated 1 January 2016. In turn, Chapter XIV of the Foreign Exchange Law, which applies to investments in excess of US$10,000, establishes that, in order to remit income, profits or investments must be reported to the Central Bank in the forms indicated in the same Chapter XIV. Figueroa, Illanes, Huidobro And Salamanca is a law firm that provides counsel in the most diverse areas of the law, and belongs to an International Alliance of construction law firms called Construlegal.